This group is for people who are underweight. It's in the Diet forum, but I deliberated about putting it in the Support forum, and I hope it will be used for emotional support as well as talk about diets, as being underweight can be exhausting mentally as well as physically. 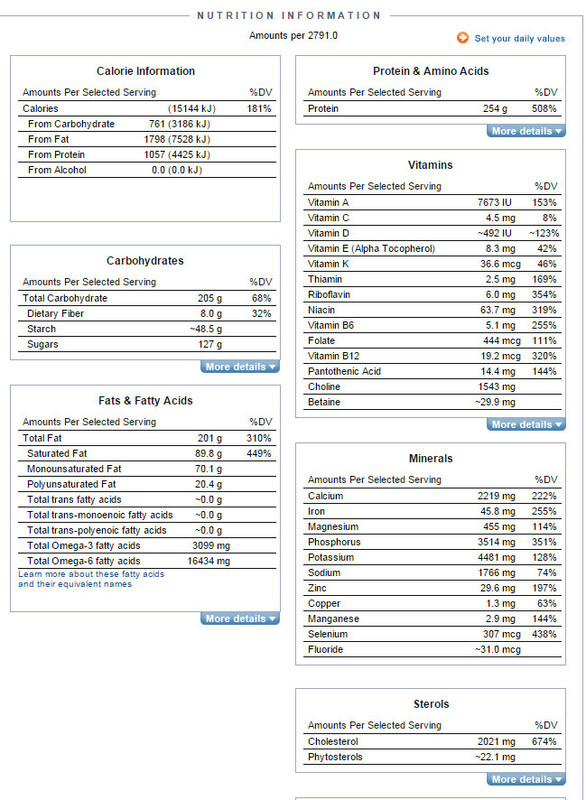 Maybe this thread could be used to report your progress in gaining weight (and your set backs) and to post your weight-gain diet food diaries as well. I need an awful lot of calories, but no doctor has been able to work out why it is that I can eat so much and still lose weight. On top of that, I have gastroparesis and no appetite. I know every tip there is for weight gain, but still struggle and have gained only a few kilos over the past few months. I'm not following any particular diet. I used to have to be strictly very low fibre, but since my last surgery that's no longer necessary. I try and have a balanced diet and eat calorie-dense foods, and I get cravings, but I also find I suddenly can't stand foods I'd been fine with eating before. I've had food supplements, NG feeding, sugar-solution IVs and TPN, but now I'm just eating normal food, though my doctor tries forcing Ensures on me. To be honest I'm trying to gain weight now primarily just to avoid hospital. Yah, it is really frustrating. And in the US all the food is promoted as good for weight loss! We are a real minority. 64 pounds? That is not good. I hope you feel ok, do you? Or are you tired all the time? I also have little appetite. I miss liking food. My weight has been yo yo-ing since I was diagnosed at 16. There would be times when I would gain a considerable amount of weight, and then either a flare or bad meds would bring me back down. I didn't realize until a few years ago that I had some food sensitives, so I have slowly been detecting what I am sensitive to, and what triggers me with the help of a dietician and now a TCM doctor. The latter has been helping me out a lot with a bland high protein, low carb diet. while I am feeling great, I am now at 5'11" and 118lbs (180cm and 53.52 kg). It's going to take a while before I add more foods in, and possibly gain weight, but I would love to be in this support group. I am getting tired of being called frail. My husband has been as supportive given the circumstances, but I know my weight loss bothers him. He made the comment last week that he fell in love with me because of how much I used to eat. He had never met a girl who could eat as much as me. I go through periods of getting nauseous just thinking about food. The next day or week, I could eat us out of house or home. I just am not gaining weight because everything goes straight through me. And the frail thing, my husband calls me that, my family calls me it, and today my best friend said I was very frail. I don't know why, but it strikes a nerve. Thanks for starting the group! That is a terrible state to be in. I went down to under 40 kg, I cannot imagine any lower than that. What led you to being so underweight last year in particular? Where to start about the worst things about being severly underweight. My weight loss was due to nausea and loss of appetite - caused by over a year of IBD at that point not diagnosed. Although I have never been normal weight. It seems to be a vicious circle, because the lower the weight they worse you feel, the more you lose weight........ I am now over 50 kg and want to gain more - very slowly but surely. I got the feeling I was stuck at 48 kg and then at 50 kg. One thing I remember reading and something that I apply every time I prepare something to eat: add one spoonful extra. You prepare how much you think you will eat, and then add a little bit more. It might be an extra teaspoon of jam, or an extra spoonful of cereal. Every little bit helps. I have to admit that being sensitive to sugar, dairy, and fatty foods does not make it easy for me to put on weight. I really wish you well. All those overweight people saying they wish they could give you theirs (does that happen to you? ), I never know what to say! What are your steps for weight gain, and can you do something about the underlying cause? Have you tried any medication that might help to put on weight? I take anti-nausea medication when I need to and that really helps me. Just one or two days of not eating is enough for me to shed a kilo or more. Also, how active are you? I know exactly what you mean. A couple of weeks ago, i saw some old co workers while I was doing some light duty at work. So many people told me how skinny I looked, and they weren't meant to be compliments. Someone told me I looked anorexic, and someone else just kept looking at me with concern (even though my labs have been better and my energy is better). It came to a point that when I was alone, I bursted into tears. I don't understand why if people know what you are going through, why would they say things to make you feel worse - and then they say things like, "We've got to get you to gain weight" as if they're actually going to actively help. It does strike a nerve after a while. I feel exhausted, but that's not just from being underweight, as I have in the past been a healthy weight, and was still exhausted, though not quite so much. I generally feel the same at a very low weight as at a healthy weight (i.e. I feel awful whatever weight! ), which is why I'm not motivated to gain other than to keep out of hospital. I used to try and keep a healthy weight in the hopes that my periods would start and I'd be able to have children at some point, but they didn't, and my various illnesses deteriorated to the point where normal life wasn't a possibility. I actually feel worse when gaining weight than when losing it, as all the extra food is awful for my digestive system; when they forced me into hospital last year all the extra food caused my bowel to perforate. My doctor (GP) called me frail the day before yesterday. But my surgeons and parents say I'm resilient (that's the word both my surgeons and my mum used), because I recover from surgeries exceptionally quickly. I think that a very low weight can look much worse than it is. Not that there aren't very real risks with being underweight, but it's also possible to feel reasonably well and be able to cope well, but some people can sometimes not get passed the appearance. Perhaps the fact that we're so used to seeing healthy-weight and overweight people means that underweight people are more shocking to see. But what does your husband mean by saying he fell in love with you because of how much you ate? What kind of basis for love is that? Last edited by UnXmas; 03-25-2015 at 09:12 AM. I've always lost weight quickly, but it's only relatively recently - the past couple of years - that I've needed such an insane amount of calories. I had surgery to give me an ileostomy in October 2013, and had post-surgical ileus (paralysis of the digestive tract) which caused a lot of weight loss. Then in 2014 I had a complication with my stoma and had further surgery. Then right after that a stomach bug. But I've also been phobic of eating for a long time, because eating a lot over a prolonged period causes permanent deterioration in my symptoms. And my phobia wasn't helped when, after being in hospital for weeks last summer under a specialist team of gastroenterologists and dieticians who treat severely underweight people (both those with anorexia and those with physical problems like IBD), and my small intestine became blocked - according to the surgeon it was because my intestine had formed a knot and because I was eating so much my intestine wasn't strong enough to push it all through - and then perforated. I'm not very active. I walk my dog every day, but don't do any strenuous exercise. I see a physiotherapist because my leg and arm were paralysed last year (long story), so I do some leg, arm, hand and finger exercises. The gastroenterologist and dietician I saw last year wanted me on bed rest! Literally, they insisted I use a wheelchair to get from my bed to the bathroom. Luckily the nurses realised how insane this was, that they let me walk outside the hospital. I was there four weeks that stay, and the gastroenterologist wanted me there a lot longer but another gastroenterologist said it was ridiculous for me to take up a hospital bed and discharged me. I think it's important I keep mobile - and my surgeons and physiotherapists think the same, so I walk daily, go up and downstairs a lot and do the exercises the physios taught me, but I don't do anything that would raise my heart rate (running, fast cycling, or anything like that), and I don't walk or do my exercises for more than about twenty to thirty minutes at a time. So on a typical day I'd do maybe one slow thirty minute walk and twenty minutes of exercises. Some of the exercises are raising my fingers and stretching my hand out, but some are things like going from a crouch to standing up five times in a row, or lowering myself into a chair then standing up again, which demand more energy than you would think! I'm on some antiemetics and have tried various PPIs for reux, and domperidome for appetite. I even lost weight while on prednisone. Last edited by UnXmas; 03-25-2015 at 09:26 AM. I'm actually up to 35kg now. So from 29kg last June, that's 6kg in nine months. But I had major surgery last September, so that caused a temporary drop in weight. Is that a very slow rate of weight gain? The doctors expected me to gain a minimum of 1kg a week, but preferably 2kg a week. I thought at the time that was a stupid idea, if it was even possible, and it was a stupid (for me anyway, maybe it's preferable for some people to gain weight quickly), so I'm nervous about rapid gaining now and want to keep it gradual. I've no idea how long it would take me to reach a healthy weight at this rate, I'm not even sure I could maintain a healthy weight long term anymore. When I was in hospital to gain weight last year, prior to the blockage/perforation, the dietician kept increasing the amount of food and supplements I had to eat until I was gaining weight. I didn't start gaining until each day I was having three meals, three snacks, plus 1500 calories worth of supplements on top of that. Do any of you have to eat that much in order to gain weight? Does your digestive system handle it ok? He used to be a chef and loves to cook. I would eat everything in sight and still never gain weight. He uses humor to deal with stress-I think I really stress him out. Honestly, I think as long as you listen to your body, you will be just fine. No one can tell you how quickly you should gain weight, because the reality with this disease is that you cannot really control it. This disease is more about how you feel than how you look. As for me, I am just happy I am maintaining my weight at this point. I keep making soups every day or every other day (but today I am eating Salmon, yum!) - mostly 2.5 pounds of meat plus a pound of veggies a day - maybe more on days that I work out. I just received the best lab results in the longest time. So my advice is that even though doctors are telling you what to do, the best thing you can just do it take care of yourself. If you are gaining weight gradually rather than rapidly, at least you are gaining weight; if you are maintaining it, it means you are not losing any, et cetera. Be patient (it's hard!) Always look for the positive, and your healing process will go by in no time. Of course, you have a great support system here. The doctors expected me to gain a minimum of 1kg a week, but preferably 2kg a week. Yep, this has always been my experience that the doctors have crazy expectations of how fast you can and should gain weight. I think they're just frightened to have a patient with a very low BMI and want to rectify that asap but don't realize that there can be negative consequences to a sudden massive increase in calories for your body, and to a rapid increase in volume of fluids too. I've found knowledgeable specialist dieticians in hospital to be a tempering influence on those kind of doctors - but they also told me that as dieticians they are often struggling to get the doctors to understand that they can't just demand that the patients be given x amount of calories extra a day and start putting on 4lbs a week. Honestly, I think as long as you listen to your body, you will be just fine. But my body is determined to cause me as many problems as possible. It is also very difficult to find someone who knows what they are doing. I went looking for a dietician/nutritionist to help me get my weight up with all my dietary restrictions. 2 never called me back and the rest only specialized in people losing weight. I would say maybe things have changed but this was only a few years ago. I gave up. on a happy note, I have gained 1/2 pound in 13 days. I don't know what that is in kg. I have a very limited diet, sweet potatoes, white potatoes, eggs, turnips and other root veggies (always cooked), almond milk, rice, tomatoes, and spinach. And I put evoo on everything that is palatable with it. Totally boring diet, but I have had no pain in 2 weeks. I've found dieticians useless also. I was forced to see them my past couple of (long) hospital admissions - they had the same approach as the gastroenterologists: force me to eat more. That was it, not even anything about what to eat, and they had no idea why I need so many calories. How did you manage to gain weight on that? Do you have to eat large volumes of food? What's evoo? I'm actually up to 35kg now. So from 29kg last June, that's 6kg in nine months. But I had major surgery last September, so that caused a temporary drop in weight. Is that a very slow rate of weight gain? The doctors expected me to gain a minimum of 1kg a week, but preferably 2kg a week. ? I was 40 kg in August 2012, now 51 kg in March 2015. And rising, hopefully. That is about 1 kg every 3 months. Sometimes a case of 3 steps forward and 2 steps back, but at least a trend in the right direction. In my case if I eat more than usual I also feel worse, and end up losing the weight again. So that is not a good strategy for long term weight gain. My doctor also said quick weight gain is not good for the body because then it reacts differently, like 24601 also says. UnXmas you said you feel back no matter what weight you are. I used to notice that even if I was just a kilo or 2 below my "normal" weight I would already feel worse. I do not necessarily eat more, but I do eat calorie rich foods. I try to have a supply of yummy things around me at all times: there is nearly always an apple crumble in the fridge (2 helpings a day! ), a supply of biscuits and nachos, and I make my own crunchy cereal that starts my day already with about 600 calories. If I can't face breakfast straight away I will eat it later. There is a fine line with fatty foods, I need the oils and fats to help me gain weight, but too much eg olive oil used to fry chicken and my guts start complaining. Completely agree with the comments about dietitians. They have the science but can't apply it to each individuals needs. By the way, I never calorie counted until about a month ago, and out of interest I calculated how much I had consumed that day: 2600 calories! I think I must be having 2000-2600 per day and yet I am still skinny. I struggled with my dietician too - going to her was a decent starting point, but it was all about what I can't eat, and not what I can. i felt so lost , because she was telling me I can have cheese and corn every once in a while, but never mentioned how to appropriately prepare foods or anything. I couldn't tolerate healthy food, and my goal is to feel better! My decision to go to the acupuncturist and eat a low carb diet is extreme, and i would never suggest it to anyone unless they want to do it. However, I feel great, and my labs are showing major results. I lost a lot of weight and people are telling me i look anorexic is irritating as hell, but knowing that I found something brings me hope. I pray that all of you can find something that helps, because this disease can be so cruel. To unXmas: I don't think I eat a lot at all; I get full really quickly. I eat 5 eggs for breakfast and a 60 cal. snack about an hour after. I only eat carbs the rest of the day. It is winter and I have not been very active; I get tired quickly and easily so maybe that is why I have gained on so few calories. EVOO is Extra Virgin Olive Oil. It makes potatoes taste better as I don't eat diary. Maybe this 1/2 pound is a fluke; I will have to wait and see. I think 1/2 pound is about 1/4 kg. Not much but better than the 7 pounds I lost between Jan and March. We all need to pray for each other. This disease is cruel and chronic and depressing. Last edited by Gail Jothen; 03-26-2015 at 08:02 PM. I don't count calories either, but I did a rough estimate and I reckon I'm eating around 2500 at the moment. In hospital last year I was having over 3000. Have your doctors ever talked with you about malabsorption, or done any tests that suggested it? The olive oil must help a lot - it has loads of calories. 5 eggs seems quite a lot to me. I get full quickly too. Have you ever had a gastric emptying study? I had one last year, but then stopped seeing the doctor who ordered it so I never found out the results. I keep meaning to get them from my GP but every time I have an appointment I have so many more important things to talk about I keep forgetting about it. I have not had a stomach test, but I think my stomach has shrunk because I have so often been in pain and hardly eaten. 5 eggs is only 350 calories; an egg is 70 calories, so it really isn't that much. Plus, it is is the only protein I get daily except for my protein rice shakes. 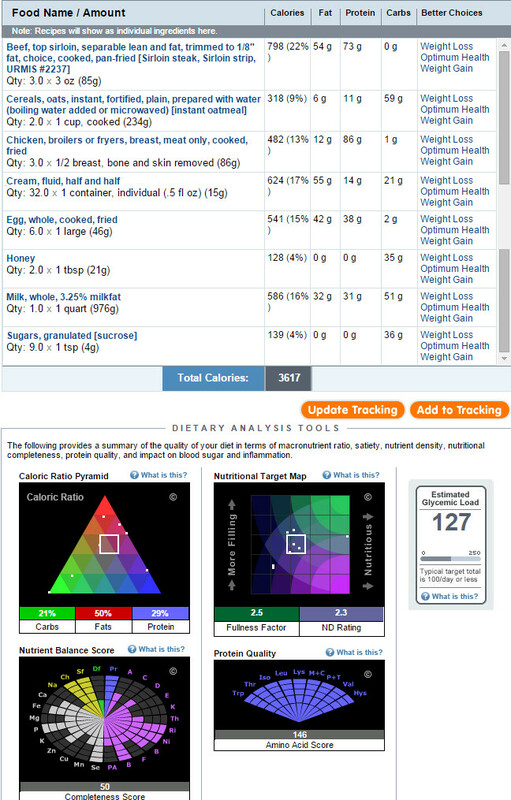 In a couple weeks I will add other protein such as fish and see how my system responds. Meanwhile, I am out of pain! Yes definitely. I struggle to gain weight fast no matter how much I eat, but when I cut to a super low calorie diet I lose slowly so it's not metabolism, that's for sure. The things we eat simple can't be fully utilized by a barely functioning digestive system. I've been up and down since I started becoming gluten intolerant roughly around 2010. After I cut gluten and some other big triggers (canola, nuts, potato etc.) I finally stated gaining. I was at 99 lbs. 5'11.75" at my worst, my small intestine was almost sealed off from my stomach from inflammation from the gluten. 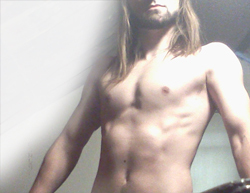 In about 1 year or so I got up to 150 lb.s on mostly meat, candy and protein shakes. This came with dire consequences however. All the sugar caused my hydradenditis suprativa to flare, I got really bad inflammation / infections in both arm pits. I went on no-dairy / no-sugar diet for a few months, dropped to about 115 I think. 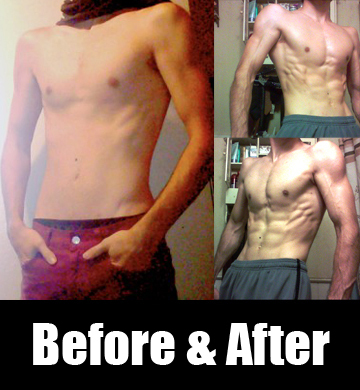 Started over on a cleaner diet with a protein shake. Managed to hit 135 before food intolerances reared their ugly head up and I lost orange juice, then chocolate, now I'm back to 125ish and struggling, I haven't been to the gym since last fall. Idk what's going on anymore. Everything gives me diarrhea. This was the only protein shake I found safe. They almost all have sucralose in them. Ive discovered to joy of gaining weight by eating almond butter in rather large quantities since a few weeks. I have been in between 100 and 105 pounds for more than 10 years, and am currently at 110! You should give sushi a shot and see how you feel. And STOP DRINKING THOSE WEIGHT GAIN SHAKES!!!! They are going to hurt you. Cut out all the dairy (this includes protein shakes, you may be allergic to whey or casein), chocolate, and gluten. My CRP has gone from chronically mid 4's to .10 (completely normal) in a matter of months (might've been only weeks but I don't get bloodwork done every week). All I eat right now sushi (salmon rolls and california rolls with salmon) and taco's. (with corn tortillas). I am working on adding things to this regimen. But these two foods have turned my BM's into the best they've ever been, and my blood work has shown that my inflammation has been curtailed, not to mentioned I just feel a lot better overall. You have to fix your intestines before you can worry about putting on weight. You have to figure out the right foods to eat that don't give you problems. I'm not saying what I do will work for you, but give it a shot and see what happens.